← E-Tracers Successfully Complete X PRIZE Validation Stage! We’re all back to our normal lives, or at least that’s what we are trying to tell ourselves. There is a lot of work that had to be postponed, and I’m way behind in my MonoTracer sales budget of 2010. It is a good thing that production has not yet reached the 4 MonoTracers per month. Just as well as the waiting list for a new MonoTracer with BMW K1200 engine, which also gets a respectable 60 mpg (no “e” this time around…;-) and has a world beating 600 mile range, is now down to about 3 months, so the backlog has been reduced. We have a date, an approximate time, and a town: 16th of September, morning, Washington DC. We have the airline tickets. We have the suits and ties ready, arrggh. Our wives are discussing their outfits. Makes me crazy! 2010.06.25 – Team X-Tracer and enthusiastic supporters. 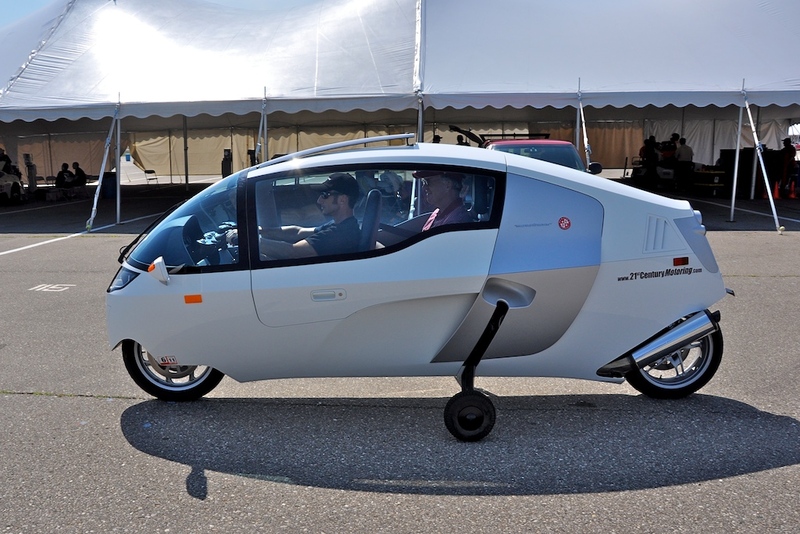 2010.06.25 - North American MonoTracer representative Jim Lorimer takes Walter Wegmueller (Swiss Ambassador to Detroit) for a spin. 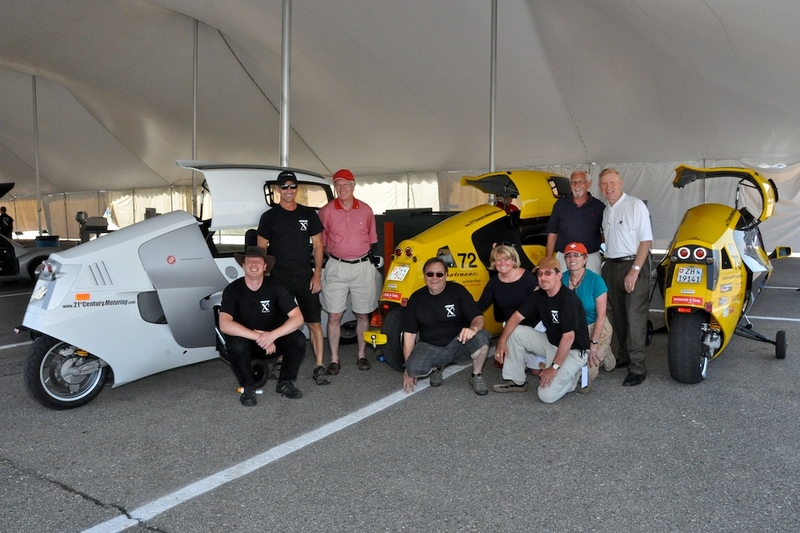 2010.06.25- MonoTracer pilots Karl Zubler, Jim Lorimer, and Ben Dungee, with EcoMobile pilots Tom Mohn and Dan Whitfield. This entry was posted in Peraves, PIAXP X PRIZE and tagged EcoMobile, MIS, MonoTracer, PIAXP, Washington DC, X PRIZE, X-Tracer Team. Bookmark the permalink. Congrats on the X-Prize guys!! !